In an April 10 post I included a photo of the last vestiges of snow on Mt. Rose take during my stroll around Virginia Lake, and alert reader Gordon Zimmerman chided me that the scene wasn't really Mt. Rose, which was correct – it was in truth north of Mt. Rose. And a couple e-mails rolled in, about the peak's name origin, which has always been kicked around by local historians. So, we turned Carmine Ghia and our research staff loose on the situation and learned of, or at least reinforced some of that which we probably knew and forgot a long time ago about the 10,772-foot landmark. 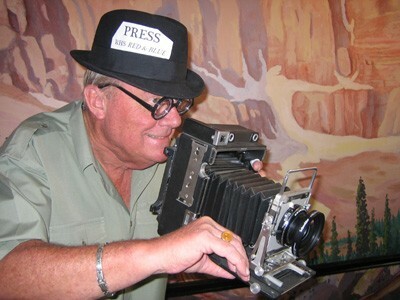 We also sent staff photographer Lo Phat out this Saturday morning to get another shot of Mt. Rose from Virginia Lake. The snow fields of Mt. Rose are barely seen in this view, with Slide Mountain to the left/south. Regarding the “Rose” name, take your pick: One version, the one I always heard and grew up with, was that Hank Monk – the incomparable! The most daring – the most reckless of drivers; and the luckiest. The oddest, the drollest of all the whimsical characters who made Western staging famous the world over* – in other words, a stage coach driver of some note who drove between the Carson Valley and Placerville, saw the image of his daughter Rose in the mountain to the north. Carmine further learned the more northern peak of Mt. Rose was named for Dr. James E. Church (Church Peak), a University of Nevada professor and hydrologist born in 1895, who perfected the snow-water content sampling device still in use today. Dr. Church passed away just months after we graduated from Reno High in 1959, and many of us were so fortunate as to have met him in our Physics class taught by John Marean at Reno High School. He held the distinction of being the first white man to have summited the peak which would later be named for him, while conducting his snow experiments in the 1920s. And many of us have visited the shelter that he constructed over a period of years at the very summit of Mt. Rose, following a robust but enjoyable hike up to the peak from Sheep Meadows on the Mt. Rose highway. And I mention parenthetically that political correctness guidelines in use today, largely ignored by the Ol’ Reno Reader, would indicate that it was “…the first European to have summited…”. But we have a tale to tell, our way. So there you have it – a bit more about Mt. Rose and its name. And to the south of Mt. Rose, to the left in the photograph, is Slide Mountain, a thousand feet lower in altitude. 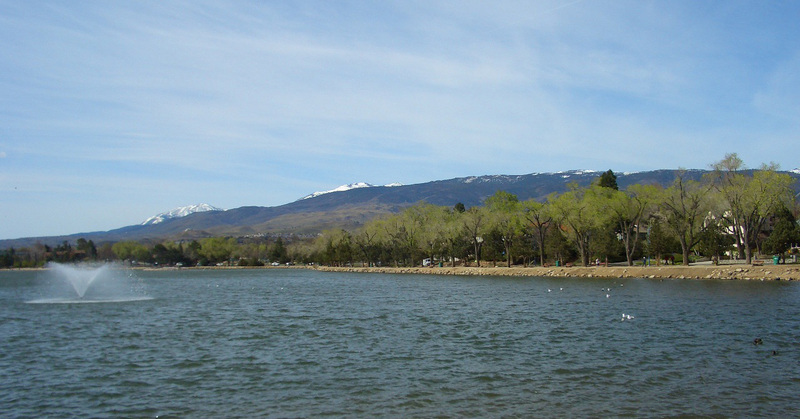 Many remember the Memorial Day slide of 1983 when the southeast face of Slide Mountain – in actuality a man-made lake, known as Price Lake, man-made as a hydroelectric plant reservoir – let loose a 15-foot wall of water that inundated Washoe Valley below and to the east, blocking Highway 395. And let’s all bear in mind that the two neighboring mountains are in the Cascade range, not the Sierra, which we’ll never convince the travel and ski writing press so we won’t even keep trying. Stay tuned for a future update of the wiles and charm of Miss Rose Hickman, for whom Mt. Rose may or may not have been named. A commitment was made at the inception of this website to do what I have not been able to perform for the 16 years that I’ve been putting up a website, the Blue Plate Special for 14 years, now the Ol’ Reno Guy. That commitment was to make a post-a-day, but nowhere does it say that that post shall be of great quality or social benefit. Today is such a day, and this post will fall short in many readers’ view. For it is Friday, and just as I was preparing an offering of some substance, the phone rang: “Miguel’s. Six.” Then a deafening quiet. How could one turn down such a well-articulated invite? One couldn’t. 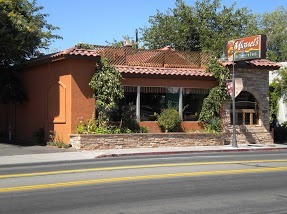 We remarked while we were dining tonight about Miguel’s long heritage – arguably one of the first Mexican restaurants in Reno, and I’ll hear about that, but can’t think of one that predates it. We went there in high school, which would be the latter half of the 1950s, and diagonally parked our ’52 Chevy sedan in front of Miguel Ribera’s little restaurant. The FNB to the north had recently opened, with the olfactory delight of Rauhut’s bakery next to it in the same building (now Heritage Bank), wherein was installed the first drive-in window in Reno, which is like saying the first Mexican restaurant in Reno. “First,” “longest,” “oldest,” “highest,” and so forth are words we learn never to use in a column because somebody will always make a liar out of you. “First drive-in window in Reno” is probably correct; there was one in almost a dead heat in Sparks at the Greenbrae FNB, and I’m told another in Las Vegas in another bank’s branch. But the thrust of this piece that will keep the post-a-day alive is Miguel’s. I could also probably write “one of the oldest restaurants in continuous operation” in Reno. But I won’t. At some point in the 1960s Miguel, some say, was abducted aboard a space ship by alien life forms (Miguel was one of the earlier seekers of intelligent life outside our solar system) where while aboard he was convinced that he should move his little restaurant further out South Virginia (Mt. Rose Street was the county line during all this time), and so he did, to a brick building across from the present Peppermill that’s been a number of things like a golf shop and a dance studio and at this time might be a music store. Voila – a new Miguel’s was born; to pay the rent on the original restaurant he opened a seafood restaurant, well-remembered by local diners as the Cove, which as most recall was as good a seafood as any place in town, the barometer of seafood then being the Holiday Hotel’s offering, a buck-ninety-nine businessman’s lobster lunch. But, the Cove was a big hit and did a great business. Thus, he made a business decision and the town said Adios to the Cove, and welcomed back the old favorite Miguel’s – now proudly offering meat primarily from cows, sheep, goats and chicken on its lunch and dinner menu. Miguel has left us, possibly for some new life somewhere in the Milky Way. His Miguel’s, where we ate tonight, was jumping – a great place to spend a Friday night with friends.